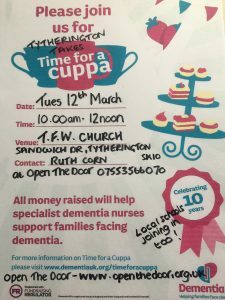 Tuesday March 12th our MemoriesTime will be organising a lovely event’ Tytherington Takes Time For A Cuppa’. 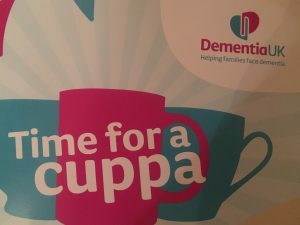 Starting at 10.00am we’ll be holding a coffee morning at the Tytherington Family Worship, where all funds raised will be going to Dementia Uk. A fantastic opportunity for young & old in Tytherington to join together over cups of tea & of course plenty of cake & biscuits! Grandparents, Great Grandparents, aunties, uncles, mums, dads, carers, older people & children are all welcome as Tytherington joins together for a morning of community & friendship. Marlborough School, the local primary & Tytherington School the local secondary will be getting on board too so watch this space as they’re putting together their ideas & plans! We’ll update everyone once we have more information, but in the meantime, please save the date! 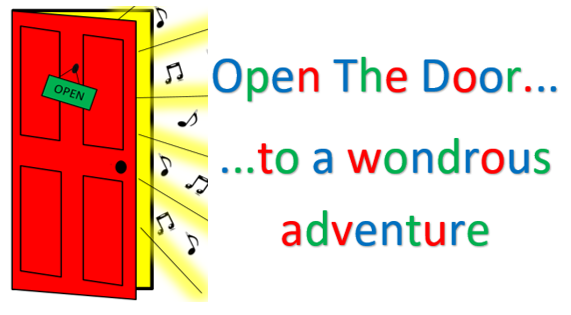 Tues 12th March 10.00am-12noon, ‘live music’, stalls to browse, tea & cake for all ages. 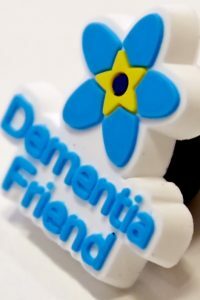 Contact Ruth 07553566070 if you’d like more details, or if you’d like to donate.